In order to download Windows 10 ISO without media creation tool, visit Microsoft’s Tech Bench Program web page, and start downloading Windows 10 ISO directly without needing media creation tool. Here’s a guide on how you can get Windows 10 ISO without media creation tool via direct download link. 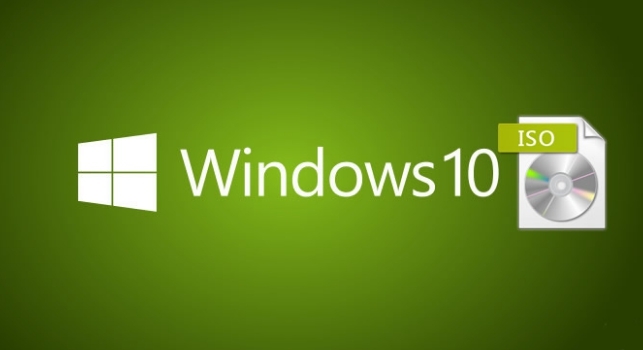 Windows 10 is the latest PC and mobile operating system from Microsoft. For the first time ever, at the time of the launch of Windows 10, Microsoft allowed users running on its older Windows 7 & Windows 8.1 to upgrade their PCs to Windows 10 for free. It was an unprecedented move, and millions grabbed this opportunity to upgrade their Windows OS to the latest version for free. The offer expired in August of this year, now you have two ways to install Windows 10 on PC. You can either clean install Windows 10 or upgrade your PC to Windows 10. If you decide to go down the upgrade route, you have the Media Creation tool to upgrade Windows OS. But if wish to clean install Windows 10 on PC, you will need a Windows 10 ISO first, and then you can use this ISO file to create bootable USB drive to reinstall Windows 10 in future. You can download Windows 10 ISO in two ways. Microsoft has made it possible for users to download Windows 10 ISO using Media Creation Tool or directly without the media creation tool. Windows Media Creation tool method can cause some issues during download due to chances of unexpected errors arising out of nowhere. However, on the other hand, downloading Windows 10 ISO without media creation tool is error free most of the times, only thing that can halt Windows 10 ISO download is unstable internet connection. So, here we are going to elaborate on both method of downloading Windows 10 ISO, with the main focus on Windows 10 ISO download without media creation tool. And the other method includes Media creation tool ISO download. In this guide, we will focus on downloading Windows 10 ISO from Microsoft’s server to minimize any chance of error during or after the download. 1 – Click on the link below to open Microsoft Tech Bench web page. Read PC requirement for Windows 10 ISO download and make sure your computer is eligible for download. (Direct download link may not work in some or all countries subjected to Microsoft policy, but you can search the internet to find the fully working Windows 10 ISO direct download link). Note: Direct download Links are valid for 24 hours from the time of creation. Download within that time, or else you will have to download links again. Note: To open Windows 10 ISO direct download link instead of being redirected to the media creation tool page, open the webpage/link on a PC having Windows XP, Vista, Mac OS or Linux (any OS other than Windows 7 and Windows 8.1). Now you should be direct straight to the direct download links of Windows 10 Offline ISO Files. 2 – Now, click on Select edition and then Windows 10. You can choose any other edition here, and click confirm button. 3 – You will be directed to a ‘request validation’ page, here, select your preferred language and hit confirm button. 4 – Next, Windows 10 ISO download page will open. On this page, there will be two options; one for Windows 10 ISO for 32-bit and the other for Windows 10 ISO 64-bit. Make your selection. 5 – Windows 10 ISO you start downloading on your PC without Media Creation tool. 6 – Once the download is complete, you can start creating bootable USB drive using the downloaded ISO file. Download links will be valid for only 24 hours since the time of creation after that they will expire and you will be prompted to download ISO links again. Don’t keep it save immediately use Windows 10 ISO after downloading. 2 – After downloading, launch the tool. 3 – Select Create installation media for another PC from the Media Creation tool interface. 4 – Now Select Language and Architecture. 5 – Here, you will be shown two option: USB Flash Drive and ISO file. Select the ISO File option and choose the folder where you want to save the ISO file and hit OK button. 6 – Your Windows 10 ISO file download should start on PC and wait for it to complete. 7 – Now you can create bootbale USB drive by using the downloaded ISO file. Share your comments if you are facing any issues in downloading Windows 10 ISO file.